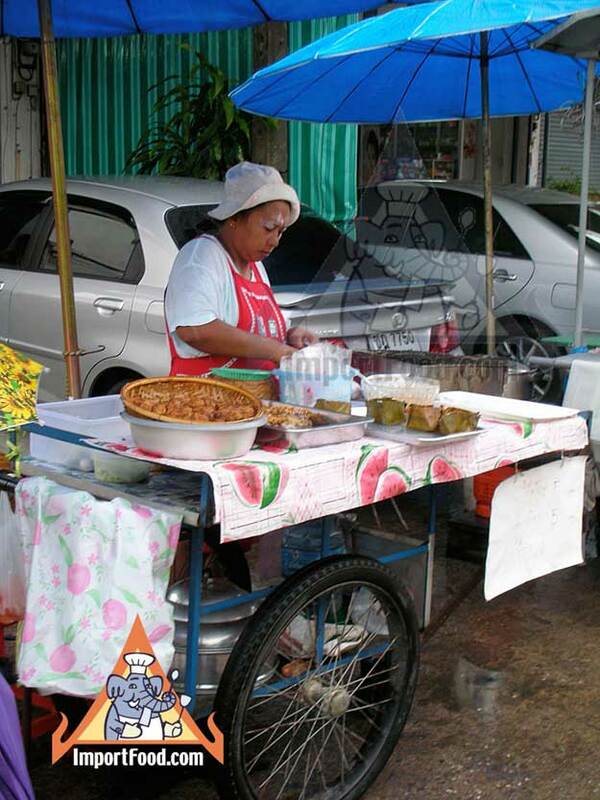 This vendor makes a higher-end quality haw mukh (also spelled in English various other ways such as Haw Mok or Hor Muk) at home, then puts the finished product on a cart and wheels it outside a few feet from her front door. Offered every morning (6:00 - 10:00 AM), when this particular street is busy with dozens of hawkers daily. Lots of people in the area stop by this market before going off to work or school. 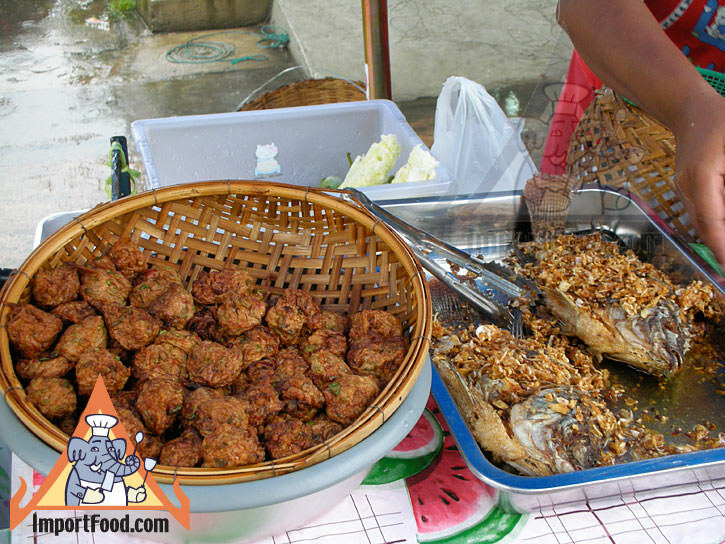 This vendor also sells fried whole fish, and fish cakes. 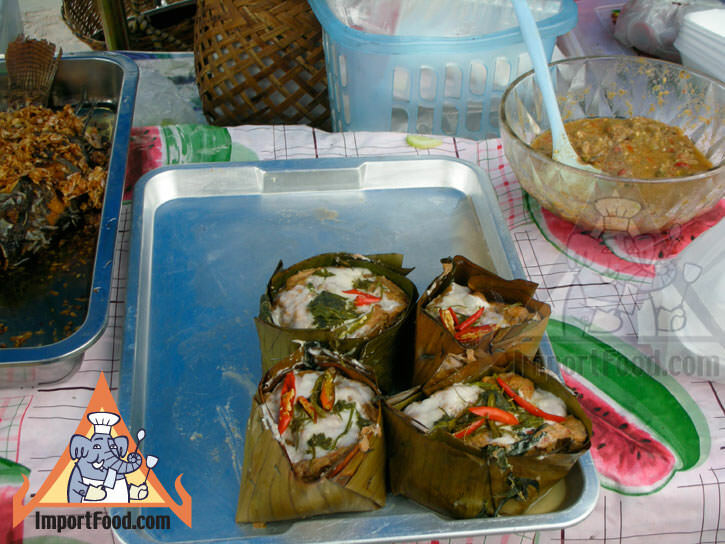 Everything is made from "pla chon", a popular freshwater fish. It can be made with any fish you prefer, and some vegetarians may make it with fresh mushrooms (using vegetarian curry paste such as Mae Ploy yellow, and substituting soy sauce for fish sauce). 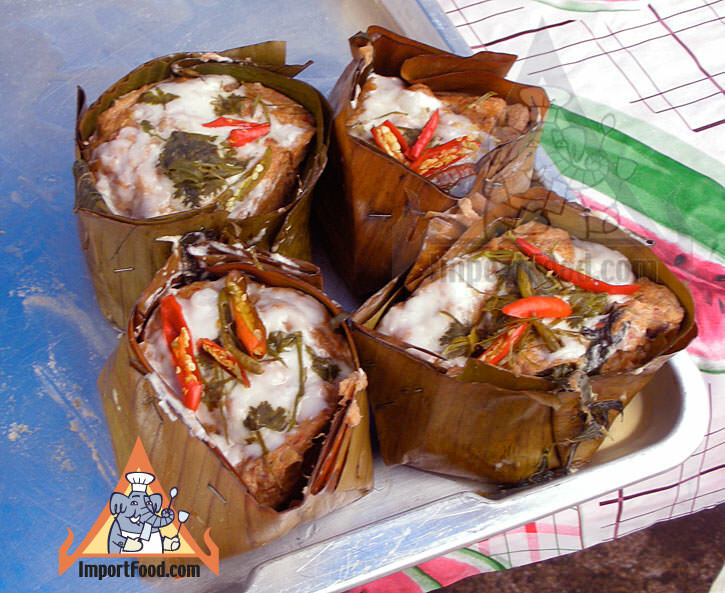 Haw mukh is very rich and can fill you up easily, and it's usually servced with warm jasmine rice. 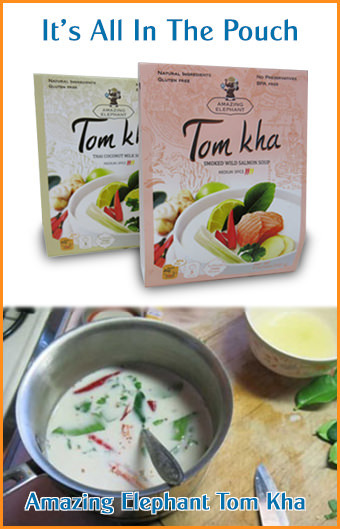 She also sells a dipping sauce separately (see photo below), called namprik kapi. It's a tasty dip for the fried fish, or for many fresh vegetables. This sauce is made by first pounding some shrimp paste, fresh garlic and Thai chile peppers in a mortar and pestle. After it's pulverized, mix in palm sugar, a little bit of fish sauce, and lime juice.